The animal welfare association "Friends of Animals – Rethymno" was founded in 2000. The terrible living conditions for animals, the vast number of animals abandoned on the streets or in the bins and the total indifference by the authorities to these animals were the motives that lead a group of people to set up the association with the intention of helping these animals and to inform the public. Since 2000 until the present day the association has helped thousands of animals, mainly dogs and cats. These animals have been taken into foster care and new homes found for them. Thousands of animals have been neutered and the association has helped to save many abused animals. The association strives to improve the attitude of pet owners who believe that animals have no other needs than a plate of food using newspaper articles concerning animal welfare, events to inform the public, visits to schools, help for animal owners and information leaflets. The association has worked with many of the major European animal welfare groups, including RSPCA, WSPA, Forderverein Arche Noah Kreta e.V., GAWF (Animal Action), and the Dogs Trust. 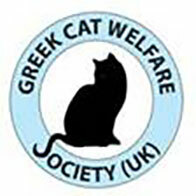 It is also a member of the Panhellenic Animal Welfare and Environmental Federation. The association is run solely with volunteers and all expenses are raised from donations and fund-raising events. The association 's main concern is, and has always been, neutering and information.